On April 16th - 21st 2018 train stations in Helsinki, Vantaa, Espoo, Tampere, Lempäälä and Lahti will turn into test fields and market places for climate smart solutions. Train stations are important urban life meeting points and crossroads for climate smart traffic. Stations have significant un-used potential as test fields, market places and media channels. Have you ever thought about what possibilities would a business corner in a train station provide for your company? Well, here is a unique possibility to try it! 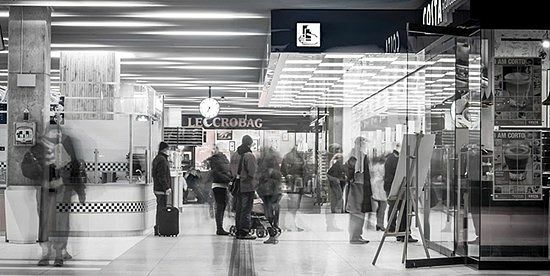 During the Station Week on April, train stations in Helsinki, Espoo, Vantaa, Tampere, Lahti and Lempäälä transform into market places and test fields for climate smart solutions. During the spring companies are invited to leave an application to try business concepts and solutions in a station area, for free. What is climate smart solution? Climate smart solution can be a new service or product that ables consumers make more climate friendly choices in their everyday life. Also normal products and services can be climate smart when they are provided in the station area in a way that people can easily run their everyday errands while using public transport. The better the stations can serve the needs of everyday life, the more alluring can climate smart transport be. Brochure in Finnish is available here.